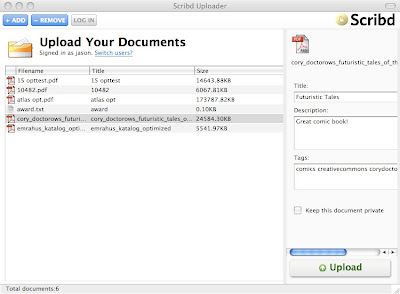 Scribd Uploader for Mac OS now available! Scribd's desktop uploader is now available for Mac OSX! Now Mac users can more easily upload, title, tag, and describe large batches of documents. Download both the Mac and Windows version of the uploader on our Tools page.